Putting yourself in this man’s shoes, what would you have done? Good publicity is shooting that arrow at a specific target. It requires some patience and focus, but—for the love’a Pete—you need to point your arrow in the right direction. Before reaching out to anyone in the media, an author should learn the best person to contact; connect with and form a relationship prior to making the pitch; ask the best way to make a pitch; and then pitch the story angle through the appropriate channels. Social media can help you do that. At first glance, one might assume that social media and publicity serve the same purpose. After all, they are both ways of distributing your message out into the world. But once you look past their plain similarities, they are fundamentally different. Social media is you sharing your message. On social media, you broadcast your own message to the people you can reach. The size of the audience is limited to the number of people you can get to put up with you on any particular platform. Publicity is convincing someone else to share your message. With publicity, you connect with influencers who have access to an audience larger than your own. The goal is to leverage their platform to build your platform. Instead of trying to convince potential readers how amazing you are, publicity gets other people to say it for you. Having spent the past 30-odd years as a working member of the media, I’ve seen firsthand how advances in communication technology changed the game. We now live in a world where anyone has access to the media. In this article, I’ll outline how social media can help you connect with the right influencers, build important relationships, and build your brand as an author. Find the right person. When you want to get in front of a large audience, you start with the person who controls the platform in front of that audience. Once you have the media outlet, figure out who decides what gets presented to the audience. This might be a segment producer, department editor, reporter, podcaster, or columnist. How do you find these people? Check the bylines, staff box, or credits. Your contact isn’t necessarily the face of the media outlet: For a talk show in a large market, a producer books the guests. For a smaller outlet, like a podcast, you’d contact the host. Once you know the name of your contact, look for him or her on social media. Go to a search engine and plug in that person’s name plus the name of your preferred social media platform. Learn what interests them. Once you find the social media account of your target person, don’t just blurt out your “ask.” Hang back and listen. As you follow these people, observe what kinds of stories they gravitate toward. This helps you determine whether that influencer specializes in a specific topic or news beat, such as technology, food, entertainment, politics, local news, or human interest. You only want to pitch something to an influencer that’s appropriate. If they don’t do interviews, then don’t pitch an interview. If they don’t do reviews, then don’t pitch a review. If they don’t do demonstrations, don’t pitch a demonstration. Your angle needs to fit inside that media outlet’s regular format. Learn what they’re working on. Observing these people on social media can give you a clue about the kinds of stories they’ve published or have in the works. You can learn whether the angle you have in mind is a good fit, and also new or different. While you don’t want to pitch an angle too similar to something this person has just done, this kind of research gives you the opportunity to pitch a related story or a different slant. This might interest them as a follow-up to the other story. Social media gives you access to media professionals on a level that was never available in years past. Once upon a time, the “media” was like a castle in a faraway land. You couldn’t get access to influencers in the media without a lot of work, a lot of networking, and a lot of money. Now it can be as simple as a Tweet or comment on Facebook. Get their attention. Once you’ve had time to observe your influencer, you can reach out in a natural way. Post a comment about a recent piece of work this person has published or broadcast. Don’t just say “Nice job,” but offer a thoughtful, reasoned response. Quote this person and tag his or her account. Retweet or repost their social media posts. Add a relevant comment when you can. Yes, there’s a lot of noise on social media. And some influencers are surrounded by more noise than others. But if you reach out in a calm, reasonable manner, it is possible to get on that person’s radar and maybe even develop a relationship. If you show yourself to be thoughtful or valuable, you’re more likely to be remembered (in a good way). On the Content Marketing Institute blog, Daniel Knowlton of KPS Digital Marketing offers some very interesting suggestions for how to get the attention of influencers on social media. OK, you’ve done the appropriate legwork. You’ve introduced yourself to your contact as a real person. You’ve demonstrated that you know how to read and how to listen. Only at this point do you have the right to think about making a relevant pitch. Don’t pitch on social media. I’m sure you’ve heard many times how social media is like a party. Well, that’s the wrong environment for a formal media pitch. You won’t have that person’s full attention, and too many important details can fall through the cracks. What you should do at that party is get permission to pitch—and then follow up through appropriate channels. Find out how this person prefers to be pitched. Different people have different preferences. If your contact in the media is fine with being pitched, he or she is likely to ask you to submit your angle in one of three ways: email, phone, or physical mail. When submitting your idea for a story to your contacts in the media, it needs to be a customized message that was created specifically for that person. Make your contact personal. Avoid sounding like a cookie-cutter pitch or form letter. The more of these questions that are answered in your pitch, the easier for them to decide whether your angle will hook the audience. But not too much information. Don’t overload your pitch with nonessential details. If your contacts can’t tell at a glance what you’re trying to say, they don’t have time to sift through your materials to figure it out. One tip is to host pre-made publicity materials on your author website (bio, press release, one sheet, etc.) and link to that page in case your contact wants more information. People who work in the media are busy. Most days, they’re chasing a deadline and juggling more ideas than will fit into the available slots. You may not get a reply. How can you follow up without annoying them? One follow-up is fine. This means you’ve sent an initial pitch and waited an appropriate length of time. Send a second email restating the pitch in case they missed it or forgot. One reminder is fine. This means he or she expressed a genuine interest in your pitch, but no specific plans were made. Once a reasonable period has passed, you can reconnect regarding details of what the media contact had in mind. Don’t nag. Just because you’ve submitted a pitch is no reason to become a jerk. Follow all the calm, reasonable, non-nagging forms of contact we went over earlier. Starting with your area of expertise, look for the audience interested in what you know. Study the media outlets speaking to that audience. Learn the names of the people who decide what goes in that media, and find their accounts on social media. Now it’s time to get social. Just be sure to point your arrow in the right direction. About the author of this blog: Frances Caballo is an author and social media strategist and manager for writers. She’s a regular speaker at the San Francisco Writers Conference and a contributing writer at TheBookDesigner.com and blogger and Social Media Expert for BookWorks, and blogger at Bowker’s Self-Published Author blog. She’s written several social media books including The Author’s Guide to Goodreads, and Social Media in 30 Minutes a Day. Her focus is on helping authors surmount the barriers that keep them from flourishing online, building their platform, finding new readers, and selling more books. 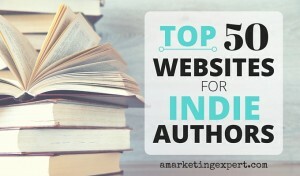 Her clients include authors of every genre and writer conferences. Not sure how you’re doing online? Sign up for my free email course.